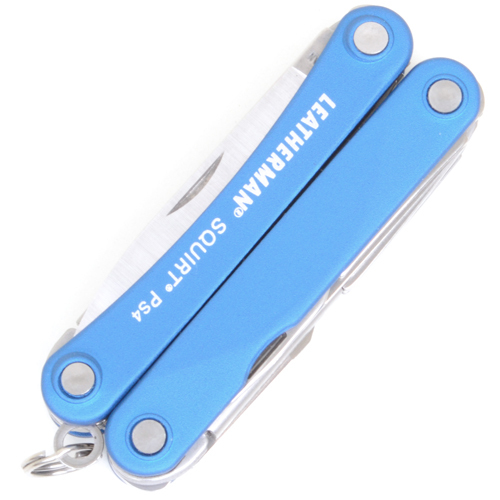 Purchase the Blue Leatherman Squirt PS4 LT40BL, keychain multi tool penknife, 6 blades, folding, spring loaded pliers. Made in USA, measures 2.25 inches closed. 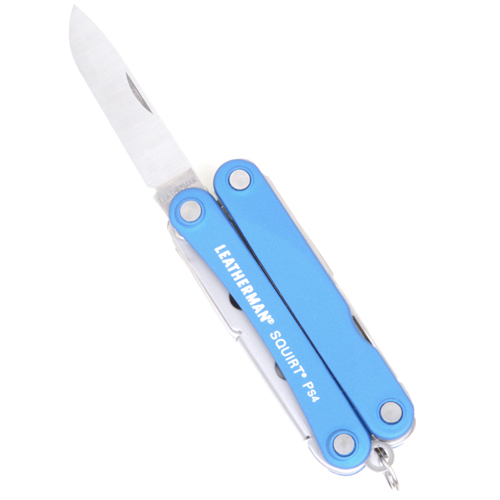 1.6 inch, 420HC stainless blade, pliers, scissors, metal file / hacksaw / screwdriver, small screwdriver, bottle opener / large screwdriver. 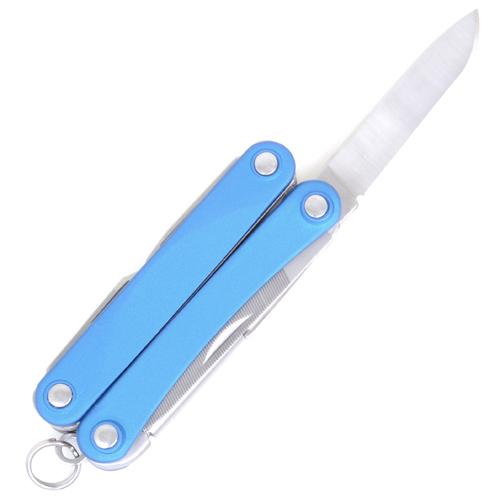 Blue anodised meal handle, keyring attachment. 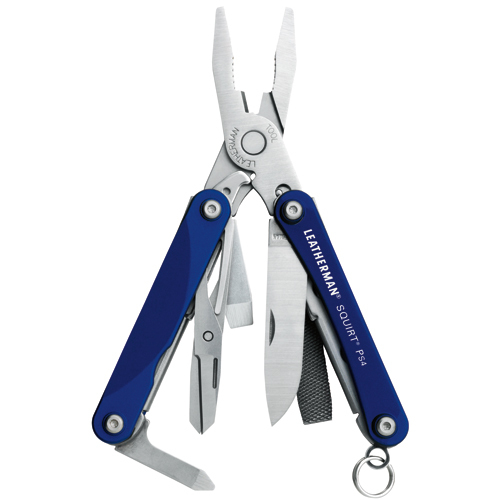 Leatherman keychain multi tools have a 25 year manufacturer's warranty.